The past is a very surreal country. Just going through old cine film taken at Handsworth Grammar School in 1967. 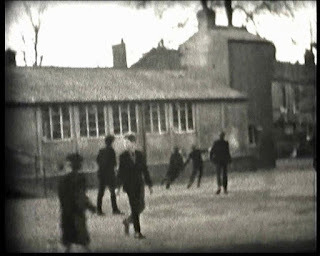 It's so grainy and black and white that lunch hour in the quad looks more like newsreel footage of recreation time in a POW camp. School quad or POW camp? Suddenly there's me in the back streets of Brum wearing a houndstooth jacket, a fez and looking at the world through a tennis racket.There's Lew firing a fishing net from a bow. 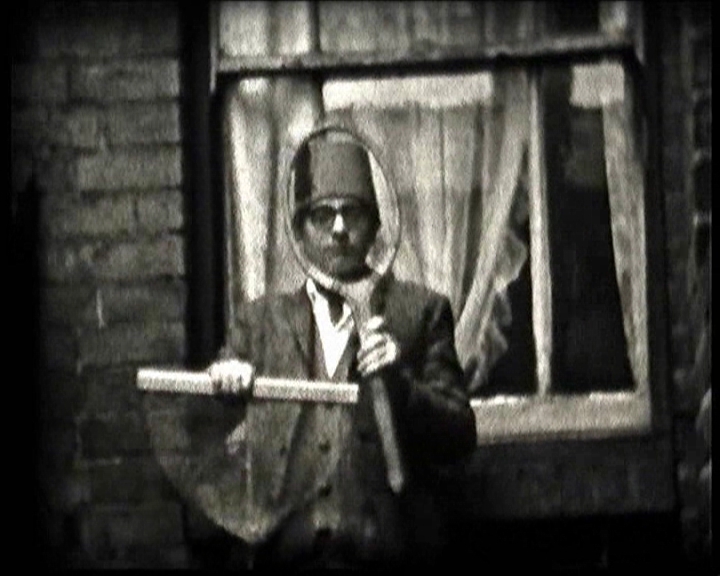 Scenes of a schoolmate being ambushed and beaten up, the masters versus the boys football match - referee 'Bing' Crosby. Bing again secretly filmed teaching us, and behind him on the blackboard what looks like Arabic but is some weird equation. A passing parade of other masters - 'Winky' Watson, Froggy Knight, Mary Barber, Browning, World Cup Willy Watton, Ken Doney, 'Gobby' Gilbert - all of them on their way home after a hard day's teaching. 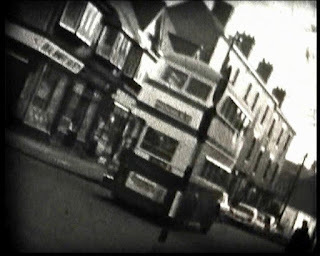 An old-fashioned number 70 bus floats down Grove Lane followed by a white-haired old man on a bicycle, me zooming past on the back of Lawrence's scooter, Jimmy Hinks silhouetted in the door of the butcher's shop, and all those young, familar faces: 'Eggy' Eggington, Billy Jackson, Gary Mills, Alan 'Gilligan's Island' Griffiths, Grant, the only black face to be seen. 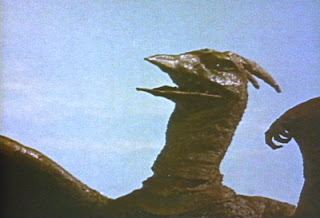 And spliced into all this are scenes from 'Rodan', a Japanese monster film featuring a giant flying lizard. 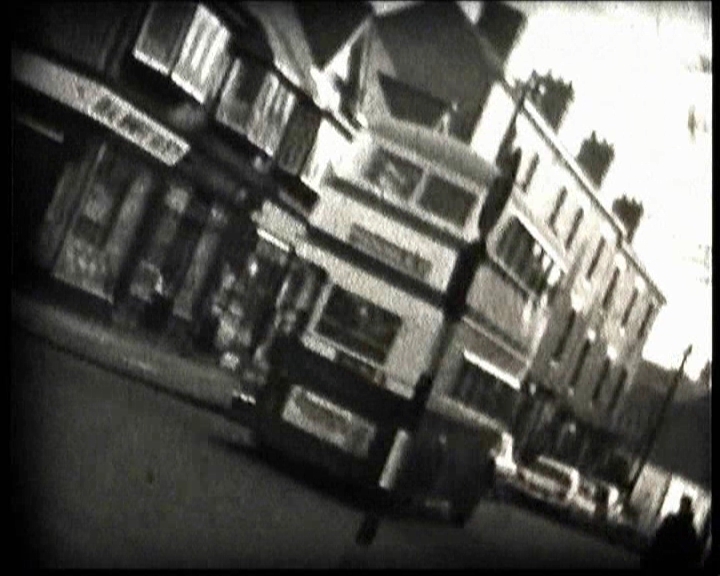 Thousands of fleeing Japanese and me, 40 years younger and none the wiser. It makes you think.